Meanwhile, folk artist Teejan Bai, Djibouti's President Ismail Omar Guelleh, L&T chairman Anilkumar Manibhai Naik, and writer Balwant Moreshwar Purandare will be conferred with Padma Vibhushan by the President. 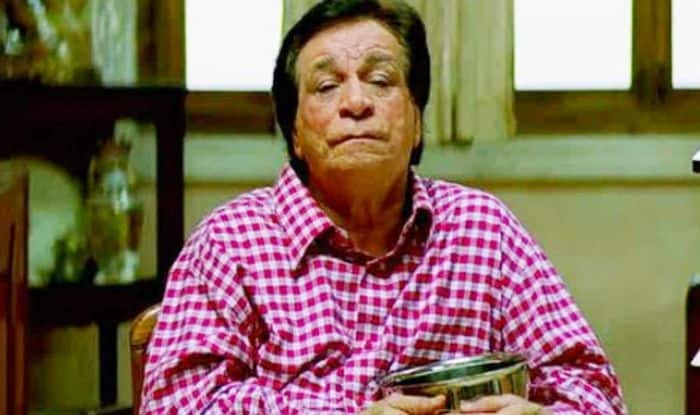 New Delhi: On the eve of 70th Republic day, the government of India announced names of Padma awardees 2019, which included late Bollywood actor Kader Khan (posthumous), world Cup-winning cricketer Gautam Gambhir, veteran author Kuldeep Nayar (posthumous) and others. This year 112 recipients have been selected for the prestigious awards including 94 Padma Shri awards, 14 Padma Bhushan and 4 Padma Vibhushan. “President Ram Nath Kovind to confer Padma Shri to 94 people including veteran actor Kader Khan (posthumously), actor Manoj Bajpayee, footballer Sunil Chhetri, choreographer/director Prabhu Deva, cricketer Gautam Gambhir, singer Shankar Mahadevan and freestyle wrestler Bajrang Punia,” an official statement said. Besides, senior advocate Harvinder Singh Phoolka, Shadab Mohammad, Kabaddi player Ajay Thakur, Former Indian foreign secretary Dr S Jaishankar, and basketball player Prashanti Singh will also be felicitated with Padma Shri. Ajay Thakur, Former Indian foreign secretary Dr S Jaishankar, and basketball player Prashanti Singh will also be conferred with Padma Shri. Meanwhile, folk artist Teejan Bai, Djibouti’s President Ismail Omar Guelleh, L&T chairman Anilkumar Manibhai Naik, and writer Balwant Moreshwar Purandare will be conferred with Padma Vibhushan by the President. As many as 14 people including ISRO scientist Nambi Narayanan, former Lok Sabha Deputy Speaker Kariya Munda, Actor Mohanlal, journalist Kuldeep Nayyar (Posthumous), Indian mountaineer Bachendri Pal & Lok Sabha MP Hukmdev Narayan Yadav will be honoured with Padma Bhushan.